Recently I made a video called Everything You Need to Know About Harmony on Bass Guitar. You can check it out by clicking on the link. In the video I talked about using inside and outside notes. Well I thought it was time for a practical video about how you can practice playing inside and outside notes. Here it is! The simplest way to explain inside and outside notes is that inside notes are notes that belong in the key you are playing and outside notes don’t. Hopefully you know already that I don’t believe there is any such thing as “wrong” notes. Simply because outside notes can make your basslines more interesting when they’re used in a musical way. You can use them to create tension within music, which is very hard to achieve if you only play inside notes. And the resolution of those notes onto inside notes creates a resolution of the tension. This video is a practical guide not a theory lesson so I’m going to jump straight in to the musical examples. If you’d like to learn more of the theory then jump to my previous video which is linked in the opening paragraph. I started with two chords, G7 and C7. And I created a bassline using only chord tones. The notes are G, B, D and F for G7 and C, E, G and Bb for C7. The first variation I played was to add a note one fret above or below either of the root notes. In the following example I’ve added the note Db before the C root note and Ab before the G root note. Both Db and Ab are outside notes on both G7 and C7 chords. Notice that these notes always resolve onto the root note. Meaning that the next note after the outside note is always the root note. It’s that resolution that keeps the outside notes from sounding “wrong”. You can resolve outside notes onto any chord tone. It doesn’t have to be the root. The following example starts on a Bb, which is an outside note on G7. The Bb resolves up one fret onto B natural which is a chord tone. The next outside note is Db which resolves onto the root note of the next chord C7. The final technique for incorporating outside notes that I looked at in the video is chromatic runs. I usually use these when leading into a chord change. Starting three frets either above or below the root note, simply play each fret either up or down to the root. It’s a simple technique, but it sounds cool if you don’t over use it. The following bassline demonstrates the technique. This week I’ve been playing some of the bass lines of the great Motown bassist James Jamerson. I’ve been reading transcriptions from a book called Standing In the Shadows of Motown. Playing the transcriptions has been so much fun. Especially playing them along with the original Motown recordings. Every time I play James Jamerson bass lines I’m reminded why he has earned a place in the Pantheon of great bassists. What made James Jamerson a great bassist? He was unquestionably one of the great innovators and pioneers of the bass guitar. His syncopated improvised style can be heard on some of the most famous recordings in the history of popular music. His discography is far to massive to list here, but Standing In the Shadows of Motown contains bass transcriptions from songs by Stevie Wonder, Michael Jackson and the Jackson 5, Diana Ross and the Supremes, Smokey Robinson and the Miracles and Marvin Gaye to name but a few. However, CV’s and biographies don’t make a musician great, James Jamerson’s impact on music goes far beyond merely playing with famous artists on popular recordings. What I love most about his style is that he improvises bass lines in a very melodic way. I believe he plays bass lines in the truest sense. His lines are created to harmonise the melodies and it sounds like he’s improvising a duet with the singers. It’s very rare that any instrumentalist is given that much scope to improvise in popular music. Even at Motown, you don’t hear any of the other session musicians improvising lines like that on any of the records. It’s never been fashionable in popular music to allow session musicians to improvise. Producers and engineers hate it because they can’t control the outcome. It’s a measure of James Jamerson’s genius that his improvised bass lines were not only included on the released versions of the songs. But that some those songs went on to become some of the most successful in the history of popular music and some of the most popular bass lines. Who has been influenced by James Jamerson? The honest answer is, probably everyone who has come after him. Any bass player who isn’t aware of James Jamerson has probably been influenced by other bass players who have been directly influenced by Jamerson. Also, the bass players who contributed transcriptions for the book Standing In the Shadows of Motown speaks volumes. The book was originally released in 1989. The bass players featured in it read like a who’s who of bassists at that time. Chuck Rainey, Anthony Jackson, Marcus Miller, Pino Palladino and Will Lee as well as rock superstars including John Entwistle and Paul McCartney all contribute. These are just a few names but it gives an idea of the scale and the breadth of Jamerson’s influence. 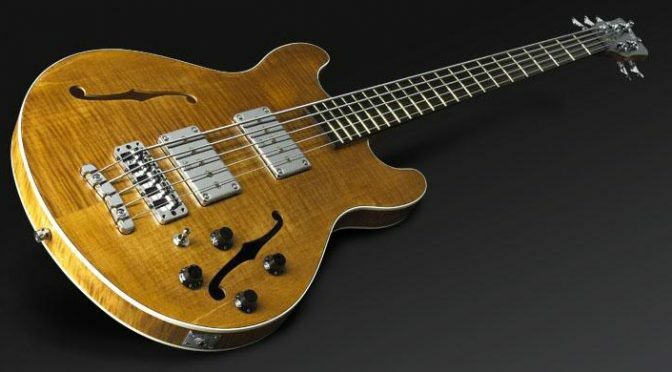 How can you study James Jamerson’s bass lines? A good place to start would be getting the book Standing In the Shadows of Motown. It comes with two audio CD’s featuring all the transcriptions. Be aware that the transcriptions don’t include any bass TAB. Which makes it great for sight reading practice but obviously not so great if you’re not a reader. I’m using my Warwick Pro Series Star Bass 5 string bass in the video. I use this bass to create a vintage sound. I’ve also used James Jamerson’s trick of putting damping material under the strings at the bridge to create a muted sound. 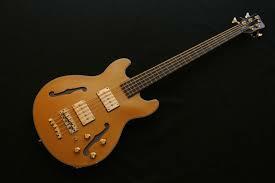 James Jamerson’s sound is definitely vintage, he was famous for using a 1962 Fender Precision. I’m not trying to make my Warwick Pro Series Star Bass sound like a Fender Precision. I don’t like to imitate other bass players sounds. It’s like trying to imitate someone’s accent. You’ll never get it perfect and you’ll sound like a cheap imitation. Having said that, I’m not sure that James Jamerson’s bass lines sound their best on the modern sounding active basses that I’m known for playing. So it’s nice to have a passive more vintage tone when I’m playing these bass lines.